Mars One—the private space project that plans to be the first to send humans to Mars and leave them there—officially opened its virtual doors to would-be Mars residents, per a press release and press conference Monday. Today is the first day anyone who has ever thought it might be neat to put on a helmet and see Earth from outside its atmosphere can submit an application to be considered for the first permanent human colony on Mars. The Mars One foundation reports it has received 10,000 messages of interest about the program prior to this point. We’ll soon see how many of those translate to applications. The Mars One project was started by Bas Lansdorp, a Dutch entrepreneur, with the goal of setting up a small human-inhabited outpost on Mars. 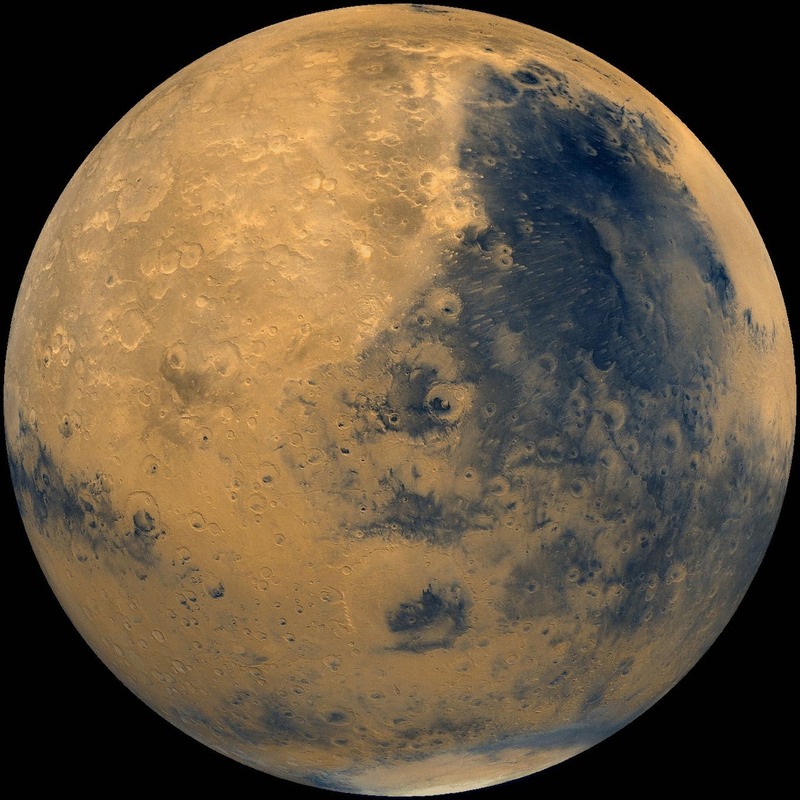 The tentative schedule has supplies landing on the red planet in 2016 and the settlers in 2023. Whoa. If you need a sign that commercial spaceflight is on the verge of a huge new era, look no further than this ambitious declaration. The major hurdle is getting the mass up there. Climbing out of Earth’s gravity well takes up lots of energy, and that translates to high costs per kilogram of payload. Moreover, currently available launch systems simply do not have the capacity to launch enough at one time for large-scale missions to be practical. However, With NASA’s Space Launch System (70 MT to LEO) and private heavy-lift launch vehicles like Space X’s Falcon Heavy (53 MT to LEO) coming online soon, long-range / long-duration missions (as well as space settlement) get much closer to being reality. Ideally, we would want to reduce the material we launch from Earth as much as possible. Taking advantage of in-space resources, such as commercial asteroid mining, will be the key to establishing a long term space economy. That will require essential infrastructure, such as energy generation and orbital processing and construction facilities, to be put into place first. The Mars One project clearly doesn’t plan to wait around for such infrastructure though. In this case, the mission seems focused on a proof-of-concept to inspire blaze the trail. With all of these private plans to forge ahead out into the black, it worries me that the policy side of the discourse seems to be severely lacking. Mired and gridlocked even with the basic problems of today, it does not seem as though our Congress is prepared, knowledgeable, or open-minded enough to even consider the basic questions at stake. As of now, there are few if any laws or legal precedents governing human and corporate conduct in space. Even more basic, no one seems to know who even has the right or authority to make such laws. It would be a shame, even dangerous for the future of the species, to allow unregulated expansion into the solar system. Who has authority and jurisdiction over space? How does one claim property in space? Can a private corporation simply land and claim a whole moon for example? How will laws be enforced, assuming they exist? 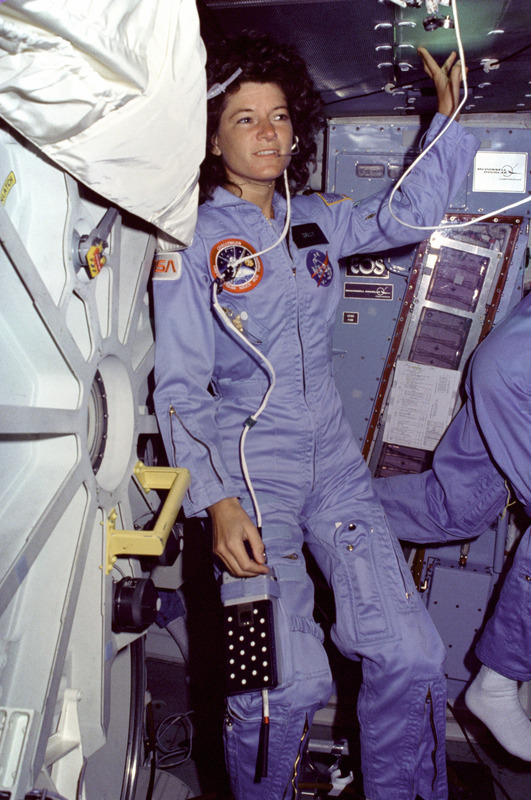 Do international rules and identities apply in space? How will the immense resources of space and the solar system be distributed, taxed, and/or appropriated? Do people, especially workers, have rights in space? Can corporations and private citizens declare war on each other for resources? Space could be the next Wild West, only orders of magnitude more lawless and destructive to natural systems. If we are not careful, the bold dreams of colonizing the solar system and expanding humanity into the stars could quickly become tainted by exploitation, corruption, and greed. The action is happening already, whether we are ready for it or not — and we must engage with the issue now, at the outset. 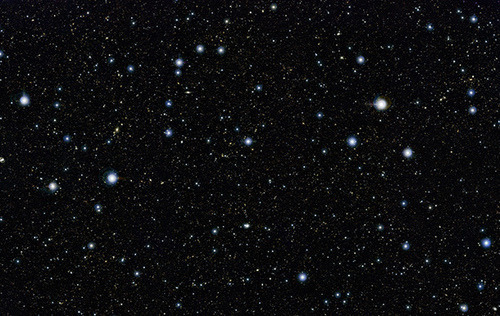 It may not look like much at first, until you realize that those points of light are not stars, but whole galaxies. 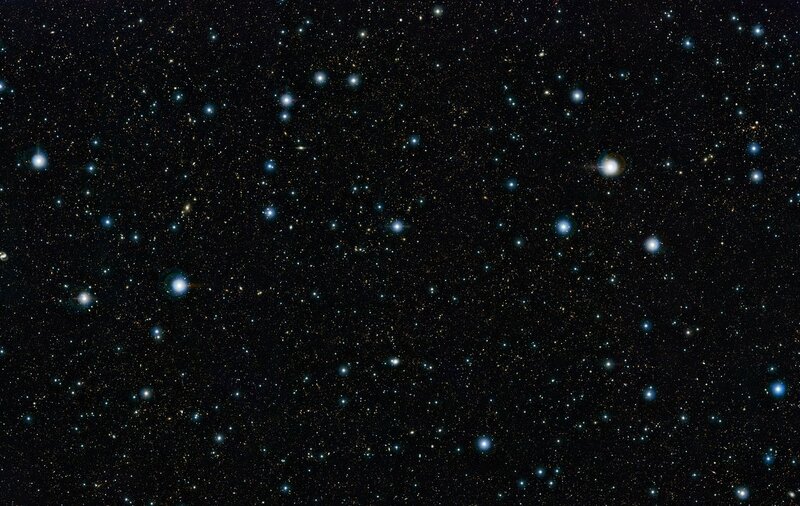 Process that for a minute: you’re looking at over 200,000 galaxies, each one with anywhere from 100,000,000,000 to 300,000,000,000 stars. Feeling humble yet? This is really why we do science and exploration. By expanding the frontiers of what is possible, we move beyond present constraints to worldly solutions. By exploring, we discover more about ourselves, where we came from, and where we could be going. In doing the hardest things imaginable, we develop systems and methods and materials and technologies that rain down into all areas of human life. And by always striving to look upward at the immensity of the beauty around us, we are constantly humbled into looking inward at how we can make our speck of the universe a better place for our fellow human beings. If I ever find myself caught up in the mundane, wound up about something petty, or angry at someone or something else, despairing for humanity, or wondering why I should keep striving against something difficult… this is among the set of pictures I look at. It’s good to keep a sense of perspective. Now let’s build a ship to sail it. A new day dawns on Triton. It’s going to be a cold one, much like the last. And the one before that… and every day since the moon settled into its present orbit around Neptune. Even the volcanoes here spew out cold gases and liquid water rather than hot magma. But below the frigid surface, which registers a temperature of -235 °C, there’s something more clement: a liquid ocean. At first glance, Triton seems to be just another icy moon – a featureless, barren world spinning around Neptune, the outermost planet of our solar system. But Triton is different. For one thing, it orbits Neptune backwards, moving in the opposite direction to Neptune’s rotation. It’s the only large moon in the solar system to do so. Satellites can’t form in these “retrograde” orbits, so Triton must have begun life elsewhere before being captured by the gas giant. It looks a lot like Pluto, and probably came from the same place – the inner edge of the Kuiper Belt, close to Neptune. 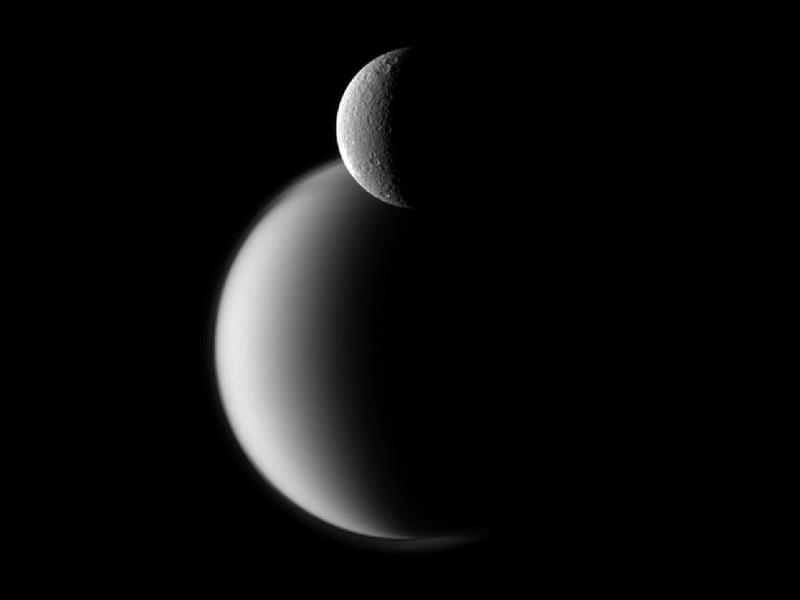 The Voyager 2 spacecraft flew past Triton in 1989, sending back images of the moon’s frozen surface. They revealed signs of cryovolcanism – the eruption of subsurface liquids which quickly freeze when exposed to the cold of the outer solar system. As such, Triton joins a short list of worlds in the solar system known to be geologically active. Its surface ice is unique, too: largely composed of nitrogen, with some cantaloupe-textured terrain, and a polar cap of frozen methane.